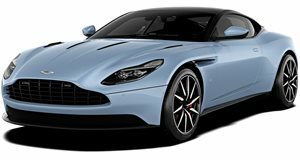 The Australian F1 star was also one of the first people in the world to drive the new Aston Martin Vantage. Just before the 2017 Formula One season wrapped up at Abu Dhabi last week, Red Bull’s Daniel Ricciardo became the envy of car enthusiasts everywhere, as he was treated to an exclusive drive in the . In a new promotional video uploaded by the automaker, we get to see the F1 driver hitch a ride to the Yas Marina circuit in the new Vantage with the help of former driver and current F1 commentator Martin Brundle. Switching to the driver’s seat, Ricciardo certainly seems pleased with the Vantage’s performance, describing it as “quick” and “punchy” thanks to its potent Mercedes-AMG-sourced 4.0-liter V8 twin-turbo delivering 510 horsepower and 505 lb-ft of torque. 0-62 mph takes 3.5 seconds, before the new Vantage tops out at 195 mph. As Brundle points out, Ricciardo is one of the first people in the world to have the privilege of driving the beautiful new Aston Martin Vantage. Its performance is enough to make Ricciardo giggly and plant an even wider smile on his face than normal, which is quite a complement to the supercar considering he races Formula One cars for a living. Keep in mind that the video was uploaded by Aston Martin which sponsors Red Bull though, so Ricciardo's opinion might not be the most objective. Prior to the race, YouTube channel Shmee150 also got a behind the scenes look at the making of the film and a ride with Ricciardo in an Aston Martin Rapide S.
During the video, the Australian racing driver revealed that he has already placed an order for the . No doubt his relationship with Aston Martin and Red Bull helped secure his reservation. Only 150 examples of the road-going Valkyrie are being planned for production each costing around $2.6 million. 25 will also be produced packing performance that’s said to be on a par with a Formula One car. 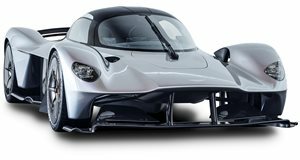 Ricciardo has secured the Valkyrie at an early stage of its development, since deliveries aren’t slated to start until 2019 and prototypes have yet to hit the road. Ricciardo wants to be a part of the hypercar’s development, so we wouldn’t be surprised if he becomes one of the first people in the world to drive the Valkyrie as well.